Growing up in San Diego we had independent CD stores all over the place that specialized in independent artists (as well as the big names). The stores were locally owned and the atmosphere in those places was cool. You could always count on going to them and hearing something fresh and new, and you got to know the people running the stores (they often were the same person that owned them). These people knew your preferences and had cool recommendations for you every time. It was a weekly ritual to go surfing all Saturday morning, and then go into the store and buy a few new CDs, grab some Jack-in-the-Box and then go home and listen to our new tunes. Sadly, as illegal downloading started becoming more common, these independently owned stores went out of business one by one. You may be wondering what that story has to do with this CD. 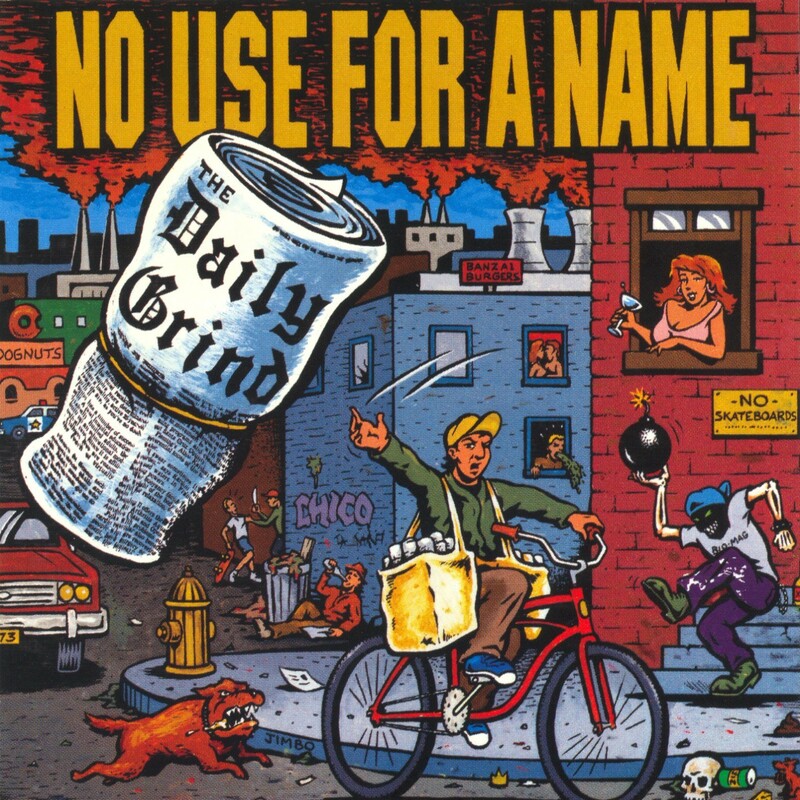 The Daily Grind by No Use for a Name is the last CD I ever bought from one of our favorite independently owned CD stores before it went out of business. I remember going in there and hearing it playing through the speakers a few days after it came out, and I had no idea who it was. It’s the CD that I think of if I ever want to download music instead of buying it, and it just so happens to also be a really good Punk CD. I remember taking it home, putting it on and being initially surprised by the opening riff because it sounded like a metal riff, but that was to be the only instance of metal influence on this punk CD. After the initial metal riff, the song breaks into some fast Pop-Punk that has more then a passing influence from Bad Religion. The lyrics on the song are also of the typical impending doom, Punk Rock variety. The thing that sets this band apart is that they often times use the second guitar player to create catchy melodies over the base Punk riff, and that one little difference was enough to make them my favourite punk band for the longest time. 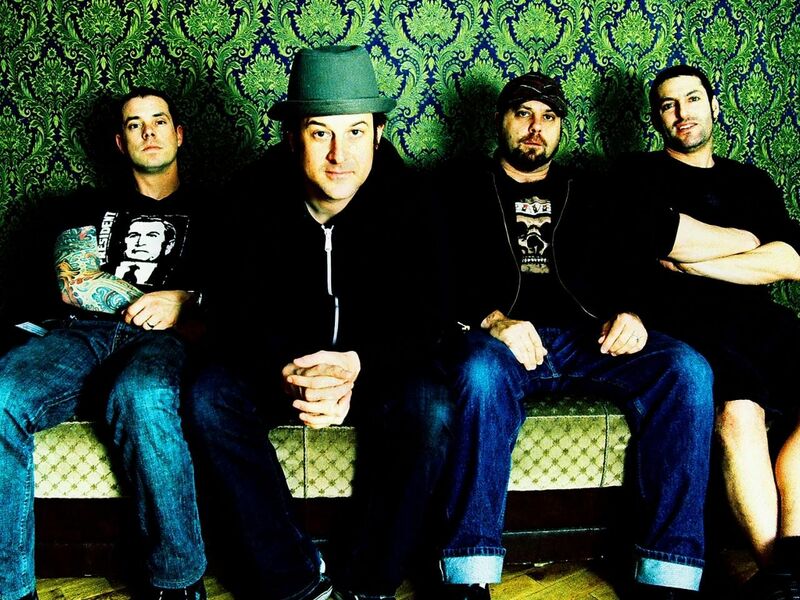 Another difference is that their vocalist doesn’t have the higher-pitched voice normally associated with Pop-Punk or even bands like NOFX and Pennywise. His vocals rest comfortably in the mid-range and are capable of being both melodic and aggressive at the same time. Containing only eight songs and clocking in at twenty-two minutes, there isn’t a lot of variety on this CD. Basically the description given above works for almost all of the songs, they’re fast paced Pop-Punk songs with lyrics about the end of the world, homelessness, broken relationships, and fun things like that. What makes this albumt is that it is twenty-two minutes of flawless Punk. At that length, there is no filler on here at all, an so gread despite the slight similarity that the songs might have to each other, it’s over long before you really realize it. It features some great drumming (something that would be lacking on later albums), solid Punk riffs, and vocals that don’t sound too nasally or whiney. If you’re looking for a good, solid punk album that never delves into the self-pity or self-parodying of most Pop-Punk bands, but also is never too preachy or political then this is the album you should look for. Just make sure you buy it instead of download it, because despite those that think they’re fighting the corporations or greedy bands by downloading; the lack of my favorite record store is proof that it’s still the little guys that are hurt the most.